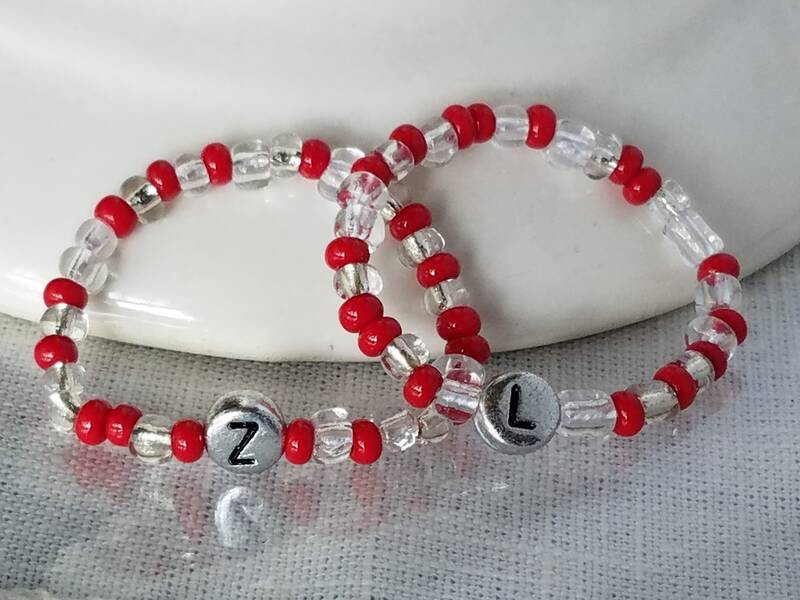 Identical Babies ID Bracelets/Anklets Newborn Twins or Triplets Vintage / Retro Hospital Style ID Bracelet. 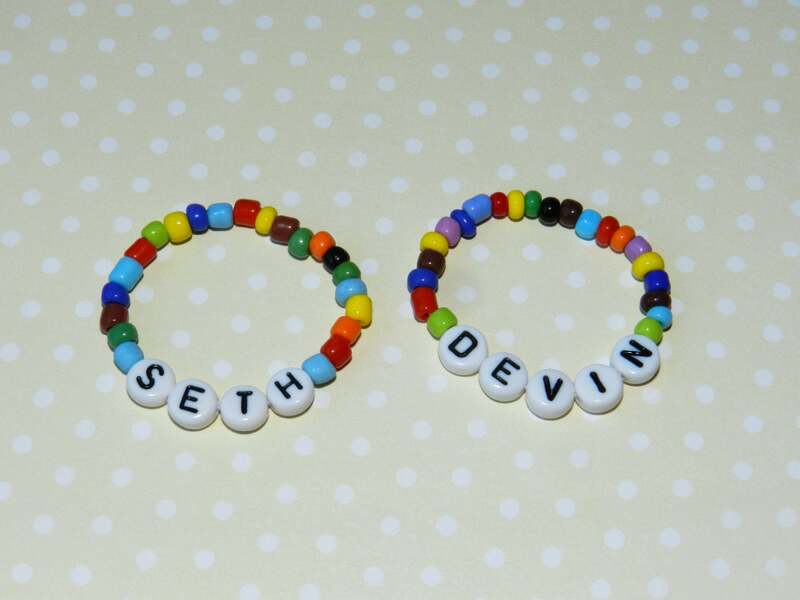 *this listing if for a set of two (2) handmade bracelets. 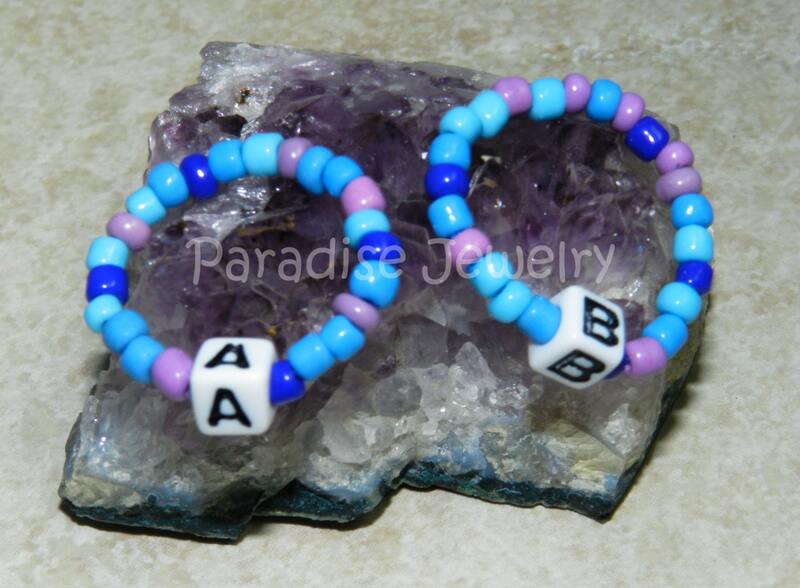 Can be ordered with A and B as the babies are known during the first 9 mos. 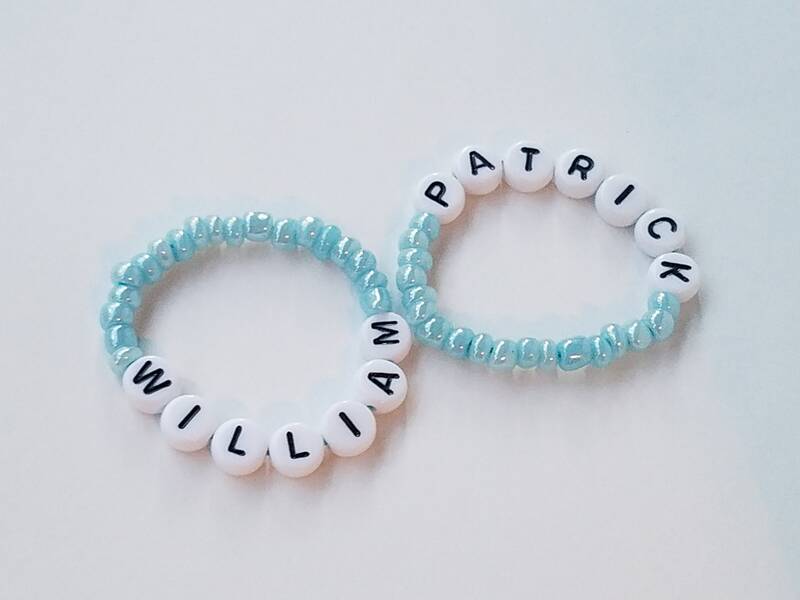 :) or Personalized with Initials, Name, Nickname or if you don't know the babies names yet, they can be made two different colors without letters (in last picture, larger round bead). 2. 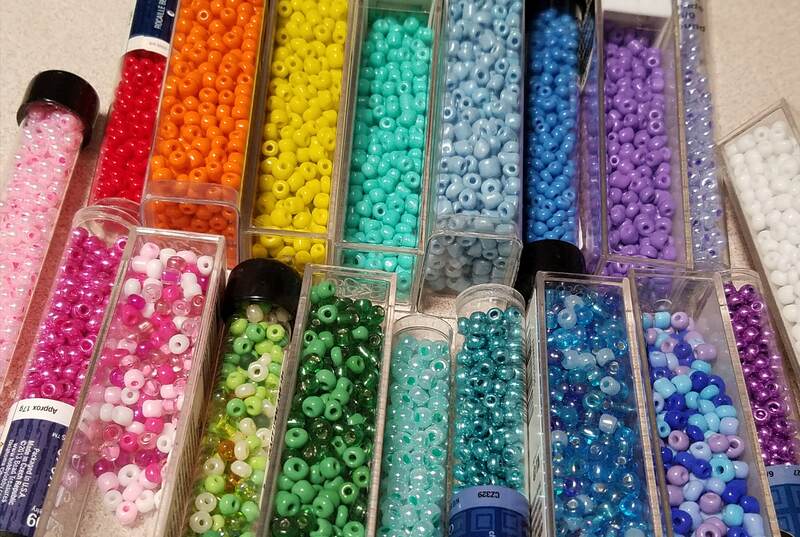 Bead Colors Choose a color from the drop down or convo me for options. Extremely quick. I ordered had just a couple days later, that includes the shipping time. Easy to communicate with and quick to respond. I absolutely am in love! 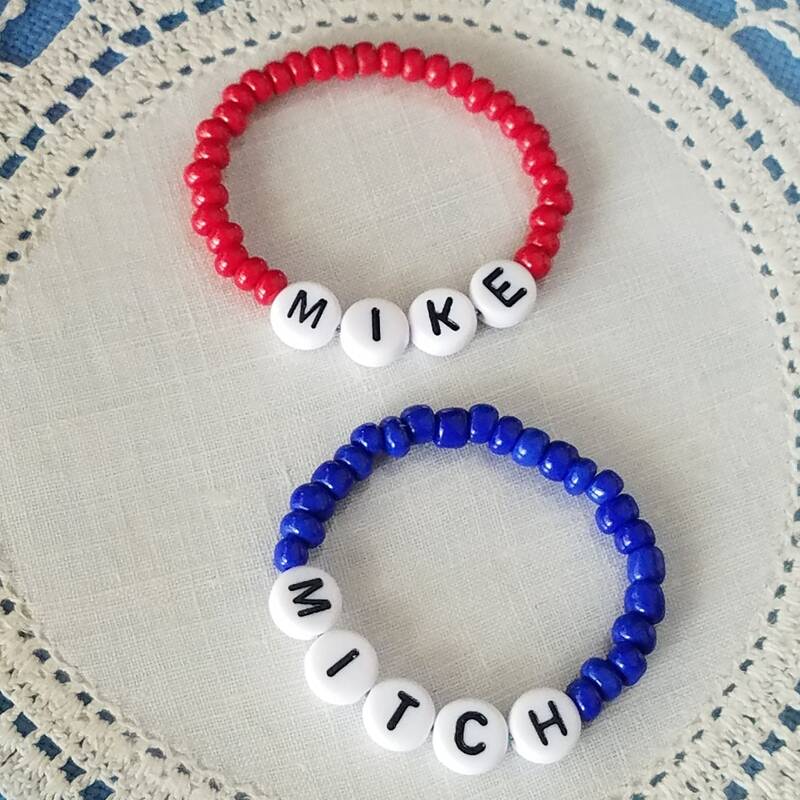 Now I can't wait to see them on my boys! And I received a notification they had been shipped the same day I ordered them! I am really impressed! Amazing job! And very quick with delivery! 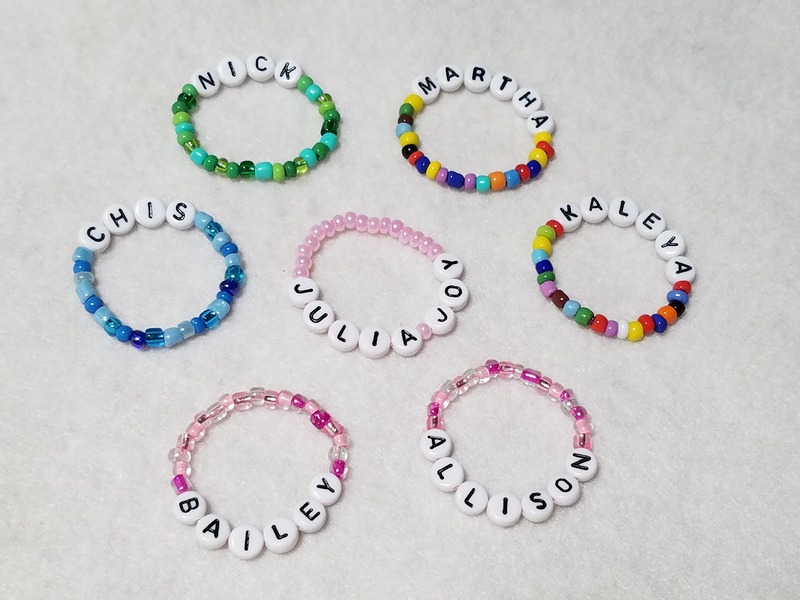 I will cherish these baby anklets forever.